Biology (bios- living, logos- study) is a scientific branch that is related with the living creatures and their body's functions. There can be seen a huge variety of living creatures on this planet. The distinction between Living Creatures and Non-Living matter was seen by early man. Definite arrangement of identification of organisms and further their nomenclature started later. This prompted the acknowledgment of sharing similarity among life forms. Man could perceive that all the present day living beings are identified with each other furthermore to those which ever lived on this planet. The parts of this unit manage the qualities of living creatures and their characterization. Living organisms show a great biodiversity and are classified into different kingdoms-Monera, Protista, Fungi, Plantae and Animalia. 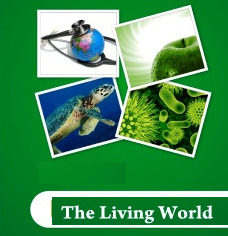 Several type of living beings are found in various sorts of living spaces like sea, Freshwater Bodies, Backwoods, Cool Mountains, Deserts, Warm Water Springs and so on. This makes us think what is life? The answer requires separating the living and the non-living. (a) Cellular Association: Living things are composed of single cell (Unicellular Organisms) or many cells (Multicellular Organisms) which associate with each other to perform vital functions of the body. (b) Response to Stimuli: All living things can respond and adapt themselves to any change in the environment. (c) Reproduction: Living things reproduce either sexually or asexually to produce offsprings of their own kind. (d) Growth: All living things grow, develop and eventually die. (e) Metabolism: Living things need energy to carry out their vital life processes. It is evaluated that more than 5 millions species are available on earth. Of these around 1.7 million species are known and portrayed. Consistently a few new animal groups are portrayed and added to the rundown. Since investigation of all living beings is about incomprehensible, they are ordered into groups for the advantageous study. a. Nomenclature: Frequently, the living beings around us are identified by local names which vary from spot to spot and dialect to dialect. Consequently there is a need to institutionalize naming them. Researchers have figured certain strategies to allot scientific name to every creature. International Code for Botanical Nomenclature (ICBN) and International code for Zoological Nomenclature (ICZN) were advanced to appoint scientific names for animals and plants separately. The investigative name has two segments Generic Name and the Particular Sobriquet. This arrangement of naming is called Binomial Nomenclature. It was given via Carolus Linnaeus and is utilized by scientists everywhere throughout the world. In this case, Magnifera and Homo are the generic names; indica and sapiens are specific epithets. Each biological name has two words-The principal word speaks about genus and the second speaks to the specific epithet. The expressions of the name ought to be independently underlined when manually written and ought to be in italics when printed. The generic name ought to begin with a capital letter and specific epithet ought to begin with a little letter. The names ought to be either Latin or Latinized. Name of the writer shows up toward the end of the scientific name in a curtailed structure. e.g. : Homo sapiens Linn. It demonstrates that this species is initially depicted by Linnaeus. c. Taxonomy: It is the investigation of identification, nomenclature and arrangement of life forms taking into account outer and inside structure with cell structure, advancement process and biological data. d. Systematics: It is the investigation of life forms with reference to identification, nomenclature, arrangement and evolutionary correspondence. The characterization of organisms includes a succession of plan of taxa in decreasing order. This is known as taxonomic hierarchy or Linnaean progressive system. The taxa utilized as a part of arrangement are: Kingdom, Phylum or Division, Class, Order, Family, Genus and Species. (a) Species: It is the essential unit in classification. The individuals from any animal groups are firmly related, obtained from a typical ancestor and can interbreed to create offsprings that are themselves fertile. (b) Genus: Genus is a gathering of related animal categories which have similar characters. (c) Family: It is a gathering of related genera. 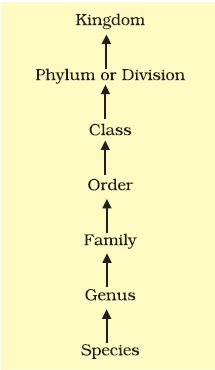 (d) Order: The order incorporates a few related families. (e) Class: Several orders that are related to each other are incorporated into a class. (f) Phylum/Division: Division in plants and phylum in animals incorporates related classes. (g) Kingdom: Kingdom involves different phyla of animals and different divisions of plants. Simplification of the study of living organisms has been carried out by their classification into comprehensible categories depending upon their specific attributes which is alluded to as Taxonomy. Throughout the years, scientists have created numerous strategies and procedures that assisted in taxonomical studies. Such strategies are called Taxonomical Guides or Taxonomical Aids. These are the systems and strategies used to store and safeguard information and additionally samples of different plants and animals. These help in identification, naming, and grouping of organisms.Various illustrations of taxonomical aids include Zoological Parks, Museums, Keys, Botanical Gardens and Herbariums. 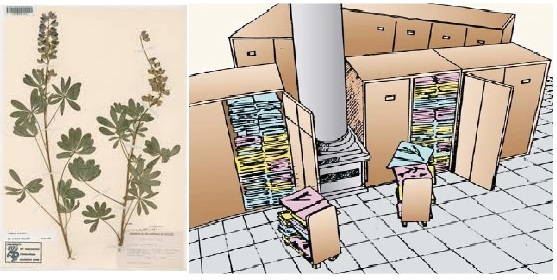 It is the storeroom of gathered plant samples. Gathered plant samples are dried, squeezed, and protected on sheets and then they are systematically arranged as per the classification system accepted universally. Herbarium sheet contains mark in regards to date, scientific name, spot of the gathering, collector's name, family and so on of the sample. It has the accumulation of living plant species that are developed for identification and as an information source. Each plant contains marks showing their family and scientific name. Some popular herbal patio nurseries are Indian Botanical Garden, Calcutta (biggest in India), Royal Botanical Garden, Kew (biggest in world till date) and National Botanical Research Institute. 1. 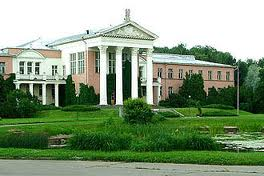 Main Botanical garden Moscow. Largest garden, spread over an area of 900 acres. 2. Bundes garden, Vienna. It is spread over an area of 400 acres. 3. Royal Botanical Garden, Kew London: it has an area of 300 acres but grows a very large number of plants. 4. Kebun Raya (Botanical Garden)Bojor Java. Spread over an area of 200 acres, the garden has section with virgin rain forest. 5. Indian Botanical Garden Sibpur, Kolkata. it is the largest botanical garden of Asia spread over 273 acres which is famous for its Great Banyan tree, Palm house, Succulent Plants, Indian Grasses etc. 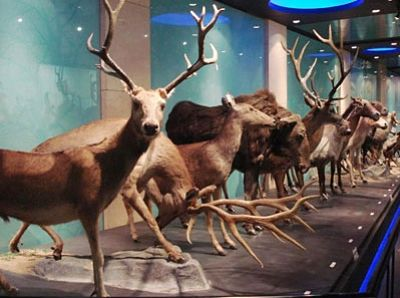 This is a repository that has a gathering of different samples of animals and plants that are saved for study and further information source. It frequently has an accumulation of skeletons of animals too. In such parks all wild animals are provided secured conditions of nature. Keys are the taxonomical aids that are utilized for identification of both animals and plants in light of similitudes and dissimilarities. Catalogue, Monographs, and Manuals are different methods of recording portrayals. Manuals are very helpful in identifying the names of different types of organisms in a given range. Monograph is a point by point and well recorded work on a specific taxon. The regular zoo movement in India began in the year 1885 when the first zoo was set up in Chennai. In the Zoological Park animals enjoy protection, fine sun shine, fresh air and above all ample open space to play about. They have now become repositories of threatened wild life and a store house of the knowledge on animal behavior, their breeding habit, etc. zoological park is the place where they are assured of food, medical care and treatment and where they also feel safe from their natural enemies. 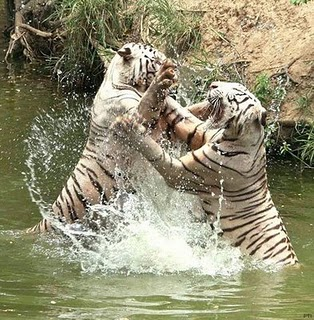 Zoological Parks are very useful in spreading knowledge on the wildlife wealth of the country. 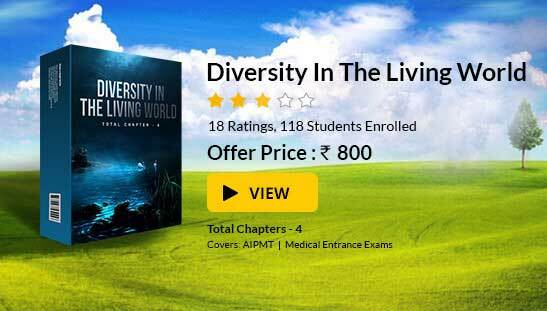 To read more, Buy study materials of The Living World comprising study notes, revision notes, video lectures, previous year solved questions etc. Also browse for more study materials on Biolgoy here.